Parents who refuse to vaccinate their children can lose up to $11,000 of welfare benefits a year under a new government policy, Australian Prime Minister Tony Abbott has announced. Ameril Umbra Kato organized the Bangsamoro Islamic Freedom Fighters to battle for an independent Islamic state. 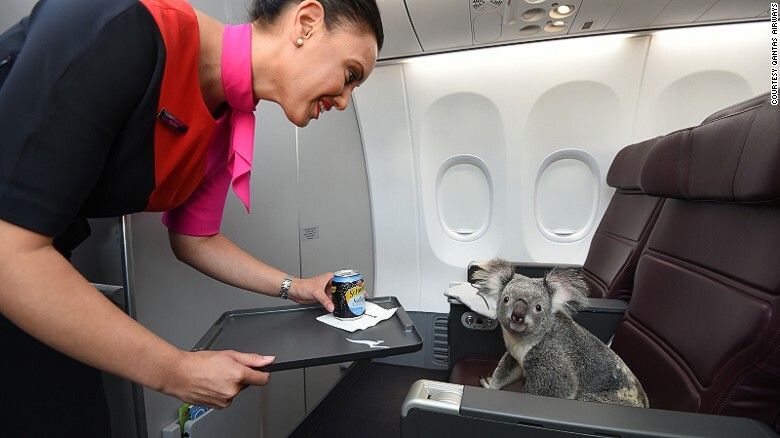 Why are there Koalas sitting in first class? Australia is sending four furry envoys to Singapore as a gift to celebrate the city state's independence anniversary. China threatens to punish local human rights group Yirenping, hours after releasing five activists said to be linked to the organisation. Woolworths takes down an online Anzac Day campaign in Australia after it attracts strong government and social media criticism. China is outfitting new naval destroyers with their potent new anti-ship missiles, which pose serious challenges to US naval defenses. Japan’s Tokyo Electric Power Co. (TEPCO) indicated that the radiation levels of the primary Fukushima power station is enough to kill a human being in an hour. Foreign Minister Julie Bishop backs consulate officials in India over an Australian couple who left behind a baby born to an Indian surrogate mother. Quarter-final first-leg between Madrid rivals ends in a draw while Juventus edge out Monaco in Turin. A day after the Chinese government released five young feminists on bail, their families and supporters expressed mixed emotions on the unexpected development. The greatest challenge for American leaders is finding the “wit and wisdom” to focus more attention on the Asia-Pacific. China tightens its control over the internet, blocking access to workaround sites once used by many. CNN's David McKenzie reports. The Beijing-led development bank may be more China-focused than initially thought, analysts say, after Taiwan's bid to become a founding member was denied. Authorities in Japan investigate how an Asiana Airlines flight came to skid off a runway in Hiroshima, injuring at least 20 people. Indonesia’s property tax delay: Sop to the rich? Reforms of Indonesia's easily-sidestepped luxury property taxes may be on ice, but the taxman is likely still coming, analysts said. A U.S. court ordered North Korea to pay $330 million for the abduction and “presumed” killing of Kim Dong-shik. But Pyongyang is highly unlikely to comply. America's major TV network HBO, sued by a British sporting goods company over a 2008 report about child labour in India, told a US jury that the report is "responsible" and claims against it were baseless. Atif Saeed, a 38-year-old photographer from Lahore, took this chilling photo of the king of the jungle, only moments before it tried to pounce on him, and lived to tell the cautionary tale. BJP allies, the Shiv Sena and the Akali Dal, brought good news home today, winning important by-elections to the Maharashtra and Punjab assemblies respectively. Prime Minister Narendra Modi had met Netaji Subhas Chandra Bose's grandnephew, Surya Bose, in Berlin and promised to examine the request for declassification of all files related to events since his death or disappearance. Karnataka Government will give its comments on the report to the Centre before April 30. A two judge bench of Supreme Court differed in their opinion on continuance of Bhawani Singh as the Special Public Prosecutor in J Jayalalithaa DA case pending in Karnataka high court. In a bid to fix a toilet, the Faggianos spent seven years digging through layers of empires. Four Britons who were detained in Turkey on suspicion of trying to cross illegally into Syria were arrested on their return to England today, police said. The Supreme Court on Wednesday asked the trial court in Maharashtra to decide on the bail pleas of accused in the 2008 Malegaon blast case within a month. Prosecution argued that Raja had granted spectrum to "ineligible" companies such as Swan Telecom and Unitech Wireless. The US State Department has asked a court here to dismiss a lawsuit filed by a Sikh rights group for declaring India's RSS as a "terror group", saying it has no standing. The family of a police officer in Chhattisgarh, who was killed in an encounter with Maoists four years ago, was allegedly badgered for Rs 10,000 that had been given for his last rites. Ruling Shiromani Akali Dal (SAD) wrested the Dhuri assembly seat from Congress in Punjab, the result of which was declared here today. Justice AR Dave on Wednesday recused himself from hearing petitions challenging National Judicial Appointments Commission (NJAC) Act, which deals with judges appointment. The Delhi police on Monday seized cocaine worth Rs. 6.5 crore hidden in various cavities of a trolley bag by a Peruvian national. Congress candidate Mamata Rakesh won the by-election defeating the Bharatiya Janata Party candidate Rajpal Singh by 36,909 votes. Ha Noi's People's Committee has decided to build a new railway bridge spanning the Hong (Red) River, just 75m upstream from the existing Long Bien Bridge. PUTRAJAYA, April 15 (Bernama) -- Prime Minister Datuk Seri Najib Tun Razak Wednesday received a courtesy call from the Organisation of Islamic Cooperation (OIC) secretary-general Tan Sri Iyad Ameen Madani at Perdana Putra, here. Ha Noi topped the National Wushu Championships which closed in Dak Lak Province yesterday. The Delegation of the European Union (EU) to Viet Nam has introduced a mobile application titled "My EU" to celebrate the 25th anniversary of the establishment of the diplomatic relations between the EU and Viet Nam. PETALING JAYA: Many lawmakers have given the thumbs down to the Employees’ Provident Fund’s (EPF) proposal to raise the permissible age for withdrawing retirement savings from 55 to 60. PUTRAJAYA: Malaysia is poised to become a major offshore renminbi (RMB) clearing centre for the Asean region following the appointment of Bank of China Malaysia as the clearing bank for the RMB currency. WASHINGTON: The same Internet access now available on most commercial flights makes it possible for hackers to bring down a plane, a government watchdog warned Tuesday. Poland's Ministry of Economy announced the launch of a "Made in Poland" campaign to enlarge the market share of Polish products at a conference held in Ha Noi yesterday. Deputy Prime Minister Nguyen Tan Dung has urged the southern Kien Giang provincial authorities to finalise the Phu Quoc special economic zone master plan soon. KUALA LUMPUR: The father of Mohd Razif Mohd Ariff, the Malaysian youth who was detained in Lebanon over suspicion of having links to a militant group, said he had never heard of "Tanzim Al-Qaeda Malaysia". The Thua Thien–Hue Province Police have arrested a ‘most wanted' criminal, who allegedly was one of the two leaders of an illegal online gambling ring busted last July. WASHINGTON (Reuters) - The United States decided to drop Cuba from its list of state sponsors of terrorism on Tuesday partly because of Cuban assurances that it would not support terrorism in the future, senior U.S. officials said. PUTRAJAYA: Traders and small businesses must have a point-of-sales (POS) system to issue invoices that are printed and numbered, in compliance with the Goods and Service Tax (GST) standard, by Sept 30. KUALA LUMPUR, April 15 (Bernama) -- Malaysia will take centre stage when it hosts the 26th Association of Southeast Asian Nations (ASEAN) Summit, from April 24 to 27 in Kuala Lumpur and Langkawi. JOHOR BARU: Johor Darul Ta’zim (JDT) produced a classy performance in front of about 10,000 fans at the Larkin Stadium to beat Kitchee FC from Hong Kong 2-0 in a Group F AFC Cup match, here last night . Guinness Viet Nam has awarded the "Greenest dorm in Viet Nam" certificate to the HCM City University of Economics' dormitory on Tran Hung Dao Street in District 1. THE car bomb in Koh Samui was masterminded by people who have lost power and want to destroy the Songkran atmosphere, along with the country's image and economy, Defence Ministry spokesman Maj General Kongsheep Tantrawanit said yesterday. Ly Son Island, 30km off the coast of Quang Ngai Province - known as the Kingdom of Garlic - is experiencing a serious shortage of fresh water, seriously damaging both its onion and garlic crops. Yemen's Houthi-led Supreme Revolutionary Committee condemned on Tuesday a United Nations Security Council resolution imposing an arms embargo on the group, saying the decision supported "aggression". Greece's state minister on Wednesday ruled out that the leftist government was considering an early election. Israel is pleased at a compromise deal achieved between the United States Congress and the administration of President Barack Obama, Israeli Intelligence Minister Yuval Steinitz said on Wednesday. South Korean parents mourning victims of last year's Sewol ferry disaster cried out their names at the spot where the ship went down, threw white chrysanthemums into the sea and made offerings of their loved ones' favourite snacks. The United States decided to drop Cuba from its list of state sponsors of terrorism on Tuesday partly because of Cuban assurances that it would not support terrorism in the future, senior U.S. officials said. SpaceX's latest attempt at recycling its Falcon 9 rocket by landing it upright on an ocean platform failed on Tuesday, after a successful launch of its cargo mission to space. An iPad that belonged to Argentina-born Pope Francis went under the hammer for US$30,500 on Tuesday, auctioneers in Uruguay said. Somali Islamist group al Shabaab was behind an attack on a government building in Mogadishu on Tuesday that houses the Higher Education and Petroleum Ministries, a spokesman from the group said. The city of Boston faces a sombre day on Wednesday as it marks the second anniversary of the bombing attack on its marathon that killed three people and injured 264. Hillary Clinton's 1,000-mile (1,609-kilometre) road trip brought her on Tuesday to a small town in America's agricultural heartland for the first official stop on what she hopes is her journey to the White House. A new United Nations website distributing warnings about risks to aircraft in conflict zones issued its first advisories on Wednesday, for countries including Libya, Iraq, Egypt and South Sudan. U.S. President Barack Obama warned Iran on Tuesday that its fighters must respect Iraq's sovereignty and answer to the government in Baghdad in the battle against Islamic State militants. U.S. President Barack Obama is due to meet the presidents of Liberia, Guinea, and Sierra Leone on Wednesday to discuss progress on the response to the Ebola outbreak in West Africa, the White House National Security Council said on Twitter. A new print edition of the AZERNEWS online newspaper was released on April 15. Kim Kardashian, an American TV celebrity of Armenian origin, and her rapper husband Kanye West had their toddler daughter North baptized at Jerusalem’s Armenian church on Monday after a visit to Armenia that made international headlines. The European Union has urged Armenia and Turkey to normalize relations after Pope Francis called the killings against Armenians “the first genocide of the twentieth century”. Azerbaijan and Serbia have voiced their interest in expanding relations between the two countries. An Armenian researcher has spent the last five years looking into how German missionary organizations helped Armenian children during the last two decades of the Ottoman Empire. 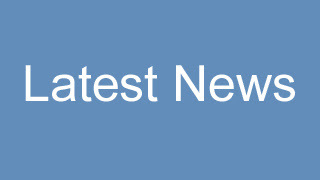 Armenian armed forces have broken the ceasefire with Azerbaijan 37 times in numerous positions in the last 24 hours, Azerbaijani Defense Ministry said Apr.15.